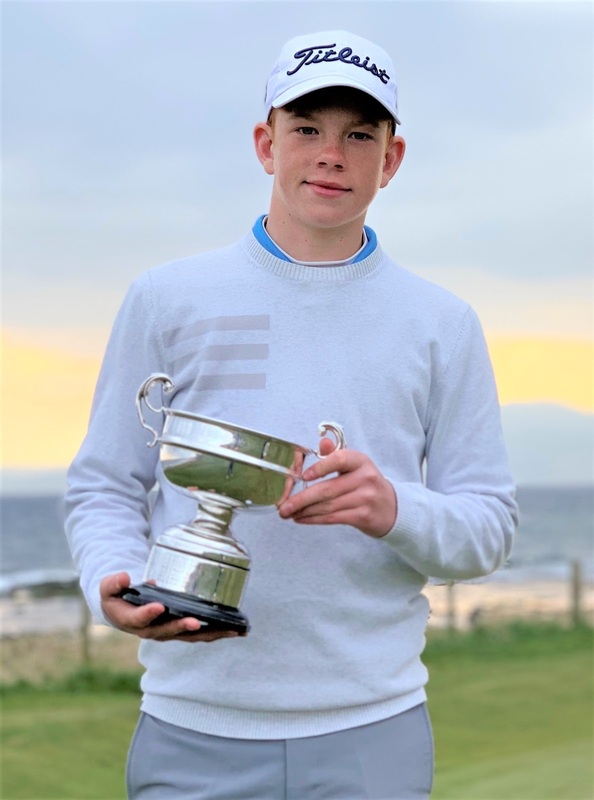 Blairgowrie's Gregor Graham, pictured, covered his last nine holes in 33 shots for a closing round of 68 and a three-way share of second place on 279 in the Scottish Boys' Open championship at West Kilbride Golf Club. Gregor won the trophy awarded to the highest finishing U16 year old. The only other Scot in the final top 20 was Ben Carberry (Falkirk) on 284 which included a second-round 67. Ashfield came from behind to finish on seven-under-par 277 after posting rounds of 69, 69, 69 and 70. It was Ireland’s Eoin Sullivan who looked to be in control after carding a four-under-par 67 to take a one-shot lead into his final round before going three-under-par through three holes in his closing 18. 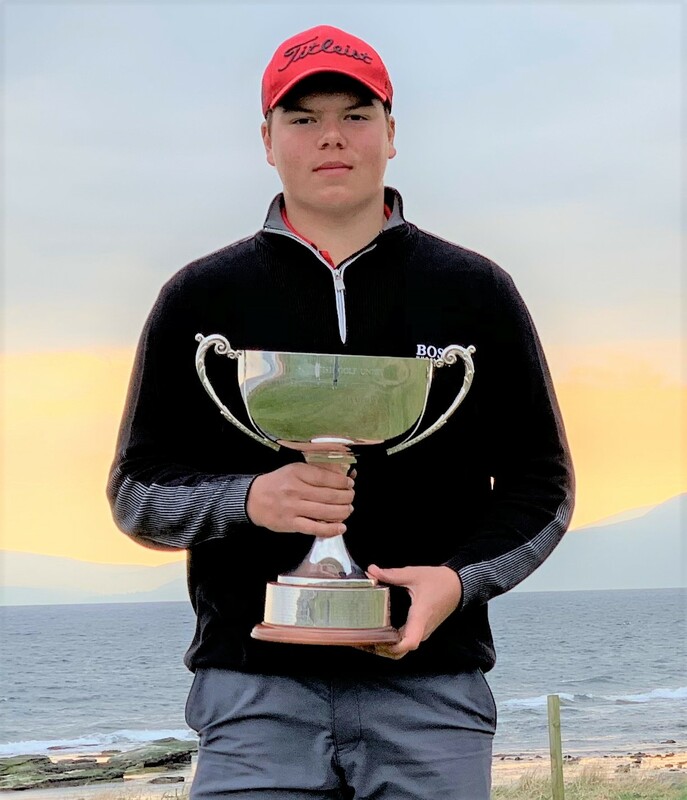 As the temperature dropped and the wind picked up, Sullivan was unable to capitalise on his advantage over the field and a seven-over-par back nine put an end to the Irishman’s chances of victory in Ayrshire. Blairgowrie’s Gregor Graham was the top Scottish performer this week, finishing in joint second place on five-under-par. Graham also finished as the best Under-16 year-old in the field to claim the George McDonald Memorial Bowl.